I write today on the 20th anniversary of my father’s death. It’s a always a hard time every year, but this year it hit me like a ton of bricks. 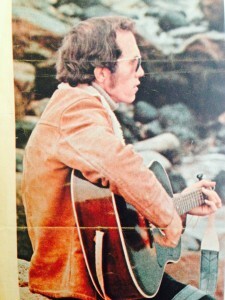 20 years since my dad, Gene MacLellan, was here and yet it still seems like just yesterday. His music is still with us and I meet his friends along the road all the time. People who’s lives he touched, people who were on the receiving end of his generosity and musician friends that brought him so much joy and inspiration. My dad struggled intensely with depression and the highs and lows of living as a sensitive artist. Ultimately, he took his life. It took me a long time to understand anything about what happened but as I struggle with my own depression I am able to relate somewhat to his experience. His challenge in his final years was to find help within a medical system that, in the end, failed him. And failed us, his family. Now my hope is to be part of a wave of people challenging the status quo, fighting the stigmas surrounding mental health, and shining a light on how we can change the mental health care system. The tide is changing, but ever so slowly. Everyone of us has felt the effects of mental illness, whether struggling with it yourself or seeing it in friends or family. The time is now to keep the discourse flowing, to open up our minds and hearts and be a shoulder for someone to lean on. It’s also time for all of us who are afraid of sharing our own struggles to lay down our burdens of silence and make noise. My heart goes out to all of you who have lost a loved one to mental illness and a huge feeling of gratitude to all of you who have considered leaving this world but were able to stay. I should really let you know about my upcoming tours, but I’ll do that at another time. Instead I’ll leave you with a clip of my dad and a link to more of his music that you may not have heard. ← 25% off Holiday Sale! Hi Catherine, thank you for sharing this heartful message. Hardly a week goes by that I don’t think of you and your dad, and I sing The Call or Put Your Hand at JY’s Music Circle. In March I will be participating in a benefit for the children of a friend who ended his struggles in December. Thanks for your beautiful message. Your father was the first artist I was ever aware of in life; as a little kid growing up in Georgetown, I believe “Hand in the Hand” was the first song I ever learned. It was definitely one of the most frequently-sung ones in our home. We weren’t really a musical family, but my mum could chord and we had a great song book! Sometimes there were beans in containers to shake, but it was your father’s music that inspired us to raise our voices and be heard! Marty Reno had a house out the back road at the time and when we would drive by, Mum and Dad would tell us that Gene and Marty used to play at the house. It was as if we were driving by Rodeo Drive in Hollywood! Now, years later as I read your words and reflect on my own years of battling depression, I some how feel even more deeply connected. The tide is turning. Mental illness is becoming more and more “talkable.” It’s going to get to a better place. Those of us with a voice just have to keep on singing. Thanks for the harmony. Just wanted to say that I still enjoy spinning your dad’s tunes. Best of luck on the tough days. Just cooking supper and spending time with my Beatrice- and I am so thankful for my family, great friends and kind strangers along the way. Let’s keep working together to make the world a little better. your Dad’s music will live on forever !! Keep up the good fight Catherine. Your father would be so proud of what you’ve accomplished already. Thanks for this, Catherine – I think a lot of us are worried about speaking out but with your courage, we are getting braver. Small steps but hopefully all going in the right direction. Thankfully there are so many wonderful attributes to remember in your father, and he inspired and aroused compassion and love in many hearts. His struggles and passing do not define him. It is important for us to be mindful of this and remind each other that our struggles do not define us – only our love and compassion does. By reaching out to each other we show our trust and sincerity. My heart goes out to you and your family. Thanks for sharing this Catherine. It takes courage to speak out about your father’s struggles and your own personal experiences with mental illness. Our health system needs changes and if enough of us can find the courage to speak up, and keep speaking up, the change will happen. Thank you for sharing that story. We also dealt with severe mental illness in my family, and my late mother attempted suicide numerous times during my childhood. I too have dealt with depression from time to time, and have enormous respect for its power. Thanks to people like you, we are making progress. Hi, Catherine … Having known great loss, I know how it feels when significant dates – anniversaries, birthdays, other events – bring long-dormant pain rushing back. Rose Kennedy once scoffed at the idea that “time heals all wounds”; she believed that the chief benefit of time was to allow a scar to close over the wound over so we don’t feel the pain as sharply every day. I think she may be on to something. I can’t pretend to have known Gene well – we had a friendly, cordial, mostly professional relationship. The longest conversation I ever had with him was only weeks before he passed. He came into the radio studio with a couple of new songs he was very excited about – one of which was Puerto Vallarta. We chatted on air about the songs, but off air we talked about a whole wide range of things. Like everyone, I respected his work; but that one conversation, that stretched long after the tape stopped rolling, gave me an insight into him as a person. I remember thinking “This guy could be a friend.” I rarely think that. And when I heard the news only weeks later, I was surprised at how saddened I was to be cheated of the opportunity. In the world of Physics, the Law of Conservation of Energy and Einstein’s Special Theory of Relativity tell us that every speck of matter and every flicker of energy that has existed since the dawn of time still exists today. All that changes is the form: energy to light, light to plant growth, plant growth to food source, food source to chemical energy to kinetic energy … the cycles are infinitely varied and ongoing and permanent. What that means is that the essential qualities that Gene had – his sense of humour, his wisdom, his energy, his love and courage and compassion and faith and humility – still exist, even if the tormented mind that held them couldn’t carry on. His essential elements are here. We can feel them around us. They are in you, in Phil, coded into Isabel’s DNA and found in the experiences of every person whose lives he touched. It is odd that at the time of our most spiritual challenges, we can take comfort in something that comes directly to us from science. I don’t need to be a Hindu or a Christian, don’t need to have studied metaphysics, or the stars, or Zen Buddhism, I don’t even need faith. I just need to know that the most essential parts of our loved ones will go on, simply because the immutable laws of science make it impossible for them to not. So will it be with Gene. I find that immensely comforting. I hope you do, too. And please do not forget Rachel….. Thank you so much for sharing, Catherine. I won’t pretend to know what it’s like to lose a loved one to mental illness… my heart goes out to you… but I know what it’s like to be mentally ill.
As you know, depression is a difficult and often lengthy struggle, much misunderstood, and as hard on family and friends. It is only by sharing the stories of real people, speaking out on the issue, and pushing for better mental health care that the stigma and stereotypes can be broken down. Hopefully, fewer people “fall through the cracks” every year. We hope for improvement, as we move forward as a caring society. But it’s clear the impact of mental illness remains tragically huge: homelessness, prison populations, family violence and addictions. Thank you for your grace, your courage and compassion, and for sharing the truths in your heart. Know your Dad is proud of you, and cherish every moment… living with an awareness that life is precious is a great gift. This post & listening to Gene sing brought back such fond memories of times we shared back on 1964 – 1965. Of course, Gene had not “made it” in the music industry yet, but I so enjoyed playing guitar and “rapping” with him. I still prefer to hear Gene singing SNOWBIRD than anyone else. Twenty years! It doesn’t seem possible that he has been gone that long. God bless yoy, Gene, you were closer to me than a brother! Catherine! Thanks for sharing your thoughts about your dad, Gene. What beautiful, thoughtful and well written songs, he has left behind for us to share and enjoy! I am preparing at the moment an article for my website about your dad-Remembering Gene MacLellan. I feel grateful for having been here to hear your dad Gene release his songs. Hi Catherine, There are a few artist that I have to stop what I’m doing, stand quietly and listen too. Your Dad’s songs, voice, and words just does that. Thanks for sharing. Hi Catherine, thank you for sharing this message. Having listened to your father’s songs over the years and now yours, I am certain you both have the same wonderful gift to translate your thoughts into beautiful and unforgettable words and melodies. Your father would be very proud of you… please keep doing what you do so well! Thanks for sharing pieces of your memories of your dad Catherine. I grew up in a house full of music and your dad’s music was there all the time. Living with a mental illness must be difficult during the low times. Your music must help you through some of those periods! Keep on doing what you were meant to do! Life has many peaks and valley’s….through them all, if we put our hand in the hand of the man from Galilee …..HIS words “Peace I leave with you, My peace I give to you; not as the world gives do I give to you. Let not your heart be troubled, neither let it be afraid” So sorry…. What a courageous bit of writing. Anniversaries of such things are hard. I remember that the 20th anniversary of my sister’s murder was surprisingly painful. Your ton of bricks analogy rings so true. I am one of those who has struggled too, and have been open about it with friends, but not so much now that I am in the public eye. I am starting to take up you challenge and thank you for urging me on, though you didn’t know you were doing that. Your father wrote such true music. You can hear his open heart in it. Hi Catherine, this is a beautiful tribute to your dad. I love your music and I also loved your dad’s music. I do believe we are related – my great-grandmother was Catherine Gosbee who was a sister to your great-grandmother, Lenora (or Aunt Lennie as she was known to my mom). Sadly, both my brother and my mom took their lives in 2000 and I find it hard to believe that it will be 15 years very shortly. My mom played guitar and taught three of her children to play as well – we played many of Gene MacLellan’s tunes in our kitchen! Thank you for sharing your very personal feelings and speaking out about mental illness. Thank you Catherine for the beautiful honesty that you’ve shared here and always do in your music. I too, like so many others, can relate to the pain of the illness; the isolation and the irony of systems that are supposed to support us but can leave us with more illness than wellness. Having said that, there is joy in the music and in knowing we are never really alone. Hi Catherine: Every time I see you appear on stage or on TV I think about your Dad and how incredibly proud he would be of you. I send you all good and wonderful vibes. I remember when Ann Murray hit the top charts with Snowbird. I was living in Western Canada (B.C.) at the time. I knew it was a hit the first time I heard it. That was when I first heard about the great Gene MacLellan! Stay strong in being the leader that you are. P.S. Did not know your Dad personally, nor you…but always a great fan and supporter of you both. I remember that day so well too and how my heart went out to you and your family. I also remember how he always performed at our Athena talent shows every year with such a quiet, peaceful, yet emotionally powerful presence. The anniversary of a loved ones death is not easy (I find the lead up to David’s to be the most difficult). Please know that you’re not alone. Thank- you for your honesty and sharing. Hugs to you and your family Catherine and what a lovely message you wrote. Mental Health is such a common yet stigmatized disease. Pray that it will change and quickly. You take care of yourself. You are in my prayers. You dadwas a great talent, as you are are. Dear Catherine, thank for your deeply heart felt message. I lived on the Island back in the 70s in Charlottetown and St. Anne’s. I never had the opportunity to meet your dad. But knew many people who did and I know how loved he was for his generous heart and spirit. I too have been very affected by mental illness and lost my first husband at the age of 26 to schizophrenia and have had some family members and good friends affected as well. Yes the mental health system is really in serious trouble. I am grateful the topic of mental health and illness is more openly talked about, but we still have a long way to go, but at least it is a start. Blessings to you always Catherine. I am a #1 fan. Catherine When Gene was an orderly and I a patient I was happy when he brought his guitar. Good therapy. God bless. Hard to believe it has been 20 years. Where has the time gone? Your dad would be very proud of you. People are starting to talk about mental health. It is okay to ask for help. I hope to see you again soon. My thoughts are with you today. I lost my dad the same way. It will be 40 years in June. Let’s hope speaking out about mental health will see some improvements in our health system. Take care Catherine. Catherine, thank you for sharing your honesty on what I can imagine is a very trying day each and every year. Your father is indirectly a huge part of our family, my grand father in law was a dear friend of your dad’s, Marty Martirano. We are always so excited to hear stories of Marty and Gene from back in the day, and we feel like we are in the presence of a superstar when we hear him sing their songs, my favorite is “Put Your Hand”. We wrap our arms around you today and everyday with hugs and prayers of healing and peace. Peace and blessings to you Catherine. Your Dad’s music had a profound effect on me as a teen learning music. I left my home in NS at 17 in 1969. I heard Snowbird 1st time in a garage I worked at part time while in college in London ON. I read about you and your Dad’s anniversary from my school days buddy Jim Henman on FaceBook. We played in a band called Woody’s Termites in the latter 60’s. I replaced another great FB musician. Myles Goodwyn. There is an unusual concurrence of creativity and depression ( mental health issues — Van Gogh, Robert Schuman, even recently Robin Williams for random examples. I have experienced the loss of a younger brother in Nova Scotia because of depression in 1998. Depression is frightening and real for any one person, but seems to take an unusual toll on the sensitive and the creative. It is almost a cliché to say “STAY STRONG”…but rather I wish you and your family Peace and to continue in the great legacy that your father was gifted in. His gift came from GOD. I believe the strongest power in the universe is–LOVE. Hi Catherine, you and your music are beautiful. Your dad would have been so proud of you I am sure. Keep up the good fight. Hugs to all of you. I think you give a beautiful tribute to your Dad every time you sing, which I’m sure would make him very proud. I applaud you for “challenging the status quo” of the miserable way the health system is still dealing with mental illness (though it has improved a lot in 20 years). I also have suffered from depression over many years, and also am committed to bringing the shame and stigma out into the open so more people will get the help that is available. I feel for the loss of your father, and your sadness on the 20th anniversary of his death. We all lost something when he left us so prematurely. But I am glad to know you are helping to make life better now for many of us suffering from the terrible pain of depression that your father went through. Thank-you for sharing this on your blog. Acceptance, togetherness, laughter, music, art…. a few of the many ways we come together as one! Catherine how brave and kind you are to speak of this. Always wanted to meet your dad, but unfortunately never had the opportunity. Living “away” at the time, I was inspired by his unique music and the gentle, sensitive personality that shone through the darkness of his life. Your courageous openness, as well as your music, will continue to touch and help countless others. Bravo. Thank you Catherine for sharing this beautiful gift of your heartfelt thoughts and your Dad’s music. I have it playing now and I can sense the light surrounding it and ministering to my spirit as it has done to so many others and will continue to do. God Bless You and keep you in His care!! Thank you, Catherine, for writing this lovely message about your Dad. It is many years since I saw or spoke with Gene, but I have never forgotten him. His music has continued to be a part of my life and I am grateful to have known it. Be good to yourself, and I am pleased to know you. I remember the first time I had seen him on TV. The guy with the patch. He was my definition of cool. I was inspired to sing and play guitar by watching him, on Jubilee. My dad (Ivan) has a few stories about hanging out with Gene and Marty. I still get shivers when I hear his tunes. Thanks for allowing us to share in your message. Hi Catherine, I knew your dad before and durning his “fame”. He was a lovely man who always treated me with kindness and respect. We remained friends althought we went our seperate ways .He was not always unhappy in my opinion. I know his love for you and your siblings was tremendous. You remind me of him a great deal.stay strong and believe he is with you. You have written a very brave post. We all experience the fallout from depression either directly or indirectly. Glad you have the guts and grace to say what must be said and shine some light on an issue that affects everyone. When I grew up there was an LP in our house that was probably listened to more than all others and that LP was “Singalong Jubilee”. Your dad made a fine contribution with his singing & playing and those songs are still a part of my inner life and memories of times long ago. Warmest.regards from cold soul-less Toronto! First of all, congratulations on the amazing honour and achievement of being nominated for a Juno Award! Well done! Also, thank you Catherine for sharing some aspects of your life story publicly so we can all benefit from your honesty and willingness to share so we can learn and understand more about mental health illness, stop the stigma, and advocate more effectively for everyone living with a mental health illness. It is because of amazing people like you (yes, you are amazing) that we need to recognize, acknowledge and embrace all mental health illnesses and those living with same. No longer can, or should, it be swept under the rug or dealt with in inappropriate and ineffective ways. Kudos to you Catherine….you make us Islanders very proud for so many reasons! I heard your interview Catherine with Karen Mair. Thank you for your honesty and reflections about your Dad. I am a Board member with CMHA and we are so aware of the power of the stories but as well the courage and energy it takes for those who tell them. 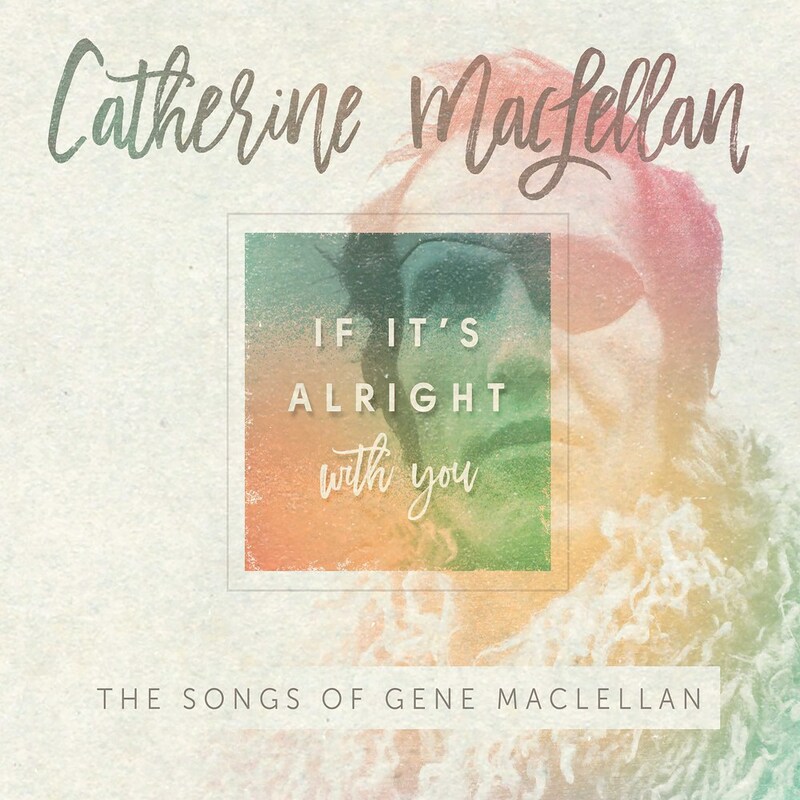 Hey Catherine Thank you for sharing Gene’s music, along with your thoughtful writing on mental illness. I have a few memories of your Dad- one when we stopped down at Hayden’s and listened to him as he worked out the chords for Puerto Vallarta. I also remember sitting at the back of a big tent in Victoria one summer evening and listening to a sixteen(I think!) year old you singing Shilo Song. Then there was the Lennie Gallant Concert at the North Star Arena where I watched your Dad gather up all his courage to get up and open for Lennie. And I do believe that when I was a young kid your Dad showed up in Tea Hill when Marty Reno first arrived on PEI. He made an impression on me every time I met him. The artist’s way isn’t easy and you and Chris have great courage in continuing to follow it. Can you pass on to Chris that we’ve had great news about Sonny’s tumours- all gone! Tell him I always thought he could sing, too, ok? I can’t wait to pick up the new album and add it to all the others I have of yours. Peace on this winter’s night.